Through structured and sensible advice, Loan Frame helps you in improving your loan application and plugging any gaps in documentation. It is often seen that perfectly creditworthy MSMEs end up facing rejections from lenders purely because of lack of awareness on what constitutes a complete credit application. Our credit advisors hand hold you through what would otherwise be a stressful process. These advisors possess significant credit market experience and know what it takes to convince a lender. Loan Frame’s technology helps the borrower in many ways. One, you have the convenience of initiating your application at your convenience, 24×7. No more waiting for convenient banking hours, loan officer’s availability, or the physical inconvenience of multiple bank visits; sometimes just to have your application rejected! Two, a large part of the initial credit assessment and evaluation is carried out digitally. Based on the information you submit online, our proprietary algorithms deliver a credit assessment in a matter of minutes. The technological advantage doesn’t end here. A large portion of the credit review is carried out online by evaluating e-documents like bank statements, ITRs, land / property records, etc. In this way, technology serves to speed up the process, reduce inconvenience, and improve your chances of getting a loan. Loan officers are typically interested in pushing off the shelf products or products that either earn the lender maximum net interest margins or get them maximum commissions. Moreover, many online lending platforms also offer a basic bouquet of 3-4 business finance products. This has two effects: a) it forces borrowers to settle for loan product that may not suit their needs; and b) it increases the chances of rejection since the product is not suited to the purpose of the loan. At Loan Frame, we have a suite of up to 50 loan products, each designed for a distinct business finance need. Ultimately, what all of these advantages boil down to is a lower cost of borrowing. While saving time, reducing effort, and improving loan eligibility are all tangible benefits, as a borrower what you most appreciate is lowering your interest rate. 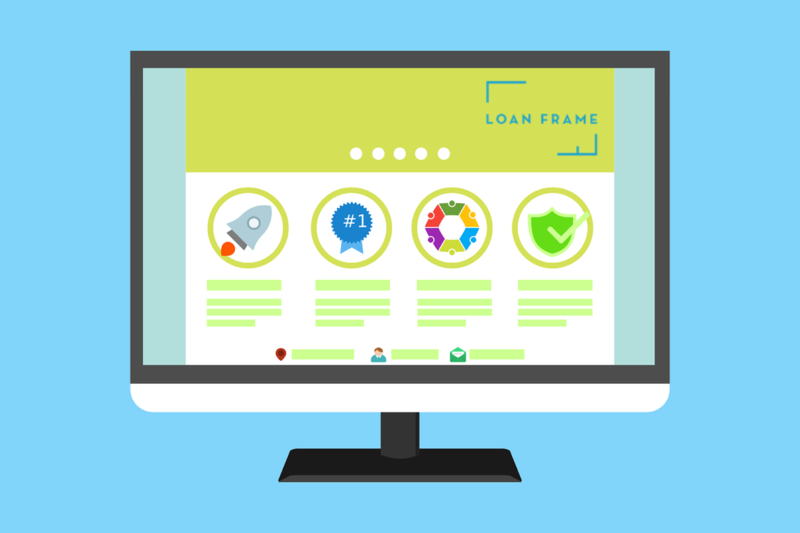 Since Loan Frame matches borrower profiles and borrowing needs with the right lender and the right product, it removes some of the inefficiencies in traditional processes that end up increasing loan interest rates. Moreover, the use of technology also reduces administrative costs, the benefit of which ends up with you. Start your business loan application at Loan Frame today and realise all of these advantages. And more.